Dive into the rabbit hole and enter an immersive audio-visual stream of consciousness where we see ourselves reflected back at us. 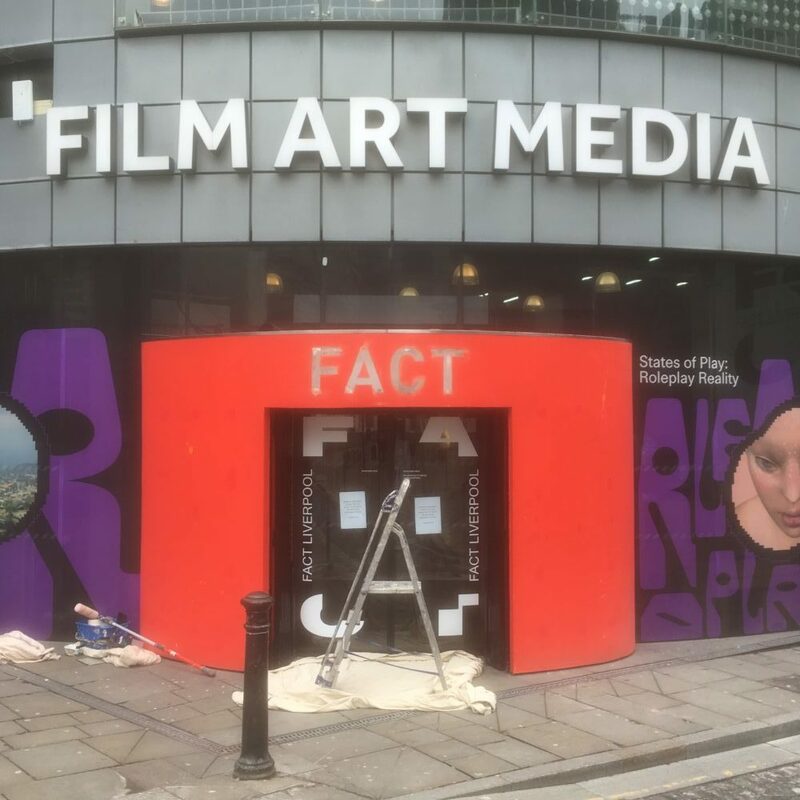 The Mirror, a live-cinema performance by People Like Us, premiered in screen 2 at FACT as part of the FACT at 15 celebrations. The performance opens with a flowing collage of clips from silent and black and white movies. We begin behind the clock face of a Big Ben-like clock, the cogs turning slowly as a flock of carriage clocks flutter across the screen. Layered on top, is a scene of a frightened woman shielding herself from a spotlight directed at her face. As the scene sweeps off the screen, a dream-like sequence begins. Vignettes and clips are from silent, classic and early movies. Characters run across the screen, searching, doors open, hands push through walls of water, a woman enters a labyrinth, searching for something or someone. The soundtrack heightens the tension. A loungey version of Windmills of Your Mind turns sinister, undercut with samples of grating, chilling sounds: thunder, ticking clocks, booming chimes. What kind of world are we entering? Vicki Bennett is the artist who works under the name of People Like Us. Since 1991, Bennett has worked in audio-visual collage. She creates samples and clips from found footage and archive film materials. She reworks, manipulates and transforms visual samples into immersive, moving image collages and cinematic performances accompanied by a live soundtrack of audio clips sampled from radio, experimental music and sounds. The Mirror explores the concept of self and the masks that we wear as they are presented on screen through the lens of popular culture. It explores the concept in a dream-like scape. You feel as though the images wrap themselves around and enfold you in the way they do in a dream. There is no fixed point, no narrative to hold on to. It is a flow, a visual stream of consciousness. At times the stream of images is whimsical, witty, enchanting even. Harry Potter meets Disney classics, childhood favourites, safe, pleasant. Clips are overlaid with moments from atmospheric black and white movies. Popular movie culture plays out in a great moment from Cecil B. DeMille’s The Ten Commandments where Charlton Heston as Moses holds back the Red Sea. The live soundtrack provides atmosphere and is the vehicle by which you navigate the images. Familiar tunes are layered with sampled sounds which morph and take you from safe comfortable territory to jarring, grating, unsettling darker places. During the impromptu after show question and answer session, Bennett talked of how she mind maps ideas and concepts before immersing herself in her archive of over twenty years’ worth of sample material, mined from hundreds of feature length films to collate the material which creates the final result. The Mirror intends to replicate the way our mind jumps around from one thing or idea to another, moves back and forth between impressions, ideas, images, thoughts. At times the images flow in themes, sometimes free flowing, sometimes looping back, sometimes repetitive. It’s like jumping into the rabbit hole of your mind, and is a very pleasurable, atmospheric immersion in sound and image.